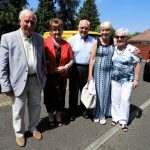 Date – 4th July 2018 at 12.00 noon. Location – Moygara, 292 Shore Road, Whitehouse. Newtownabbey. BT37 9RW. 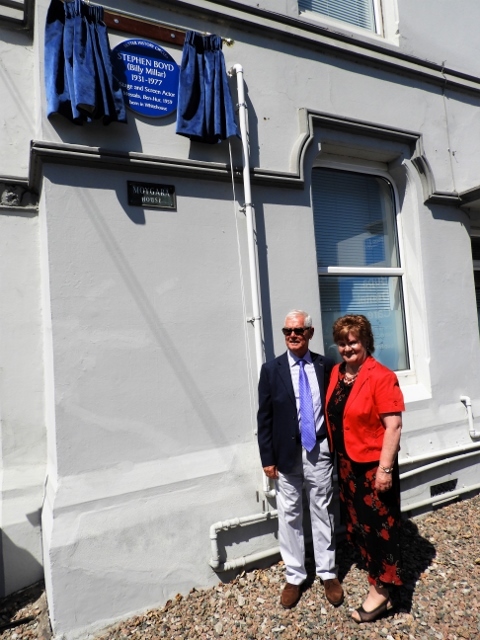 Unveiled by Tony Corbett, son of the late actress Valerie Corbett, and Vikki Dundas, President of Abbey Historical Society. 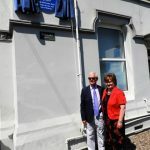 One of the oldest historic houses in Whitehouse, ‘Moygara’, saw the unveiling of a Blue Plaque to legendary actor and movie star of the 1950’s-1970’s, Stephen Boyd, born Billy Millar, in a house (long since demolished) and 50 yards from the plaque site. 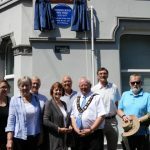 Members of the Abbey Historical Society and local Councillors. 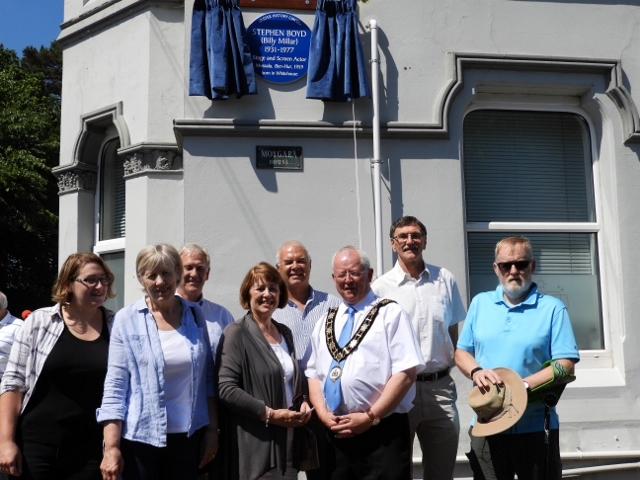 The plaque funded by the local Historical Society from a legacy gifted by their late past esteemed member, actress Valerie Corbett, was unveiled by Tony Corbett, Valerie’s son, who with his family had arrived from London that morning. 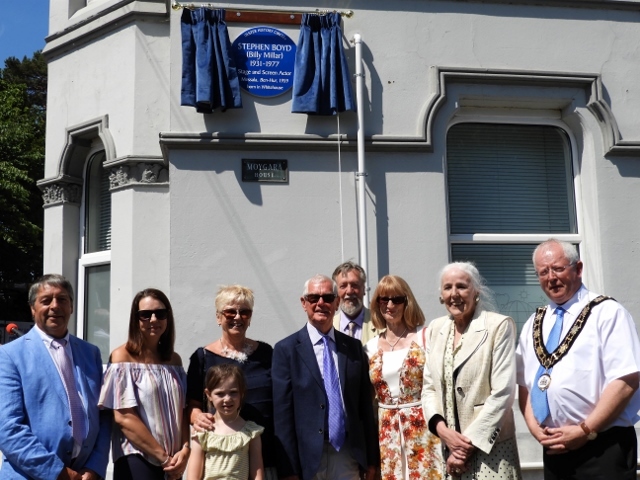 Together, Tony and Vikki Dundas unveiled the honour bestowed on local actor Stephen Boyd who had been largely forgotten in the course of history. 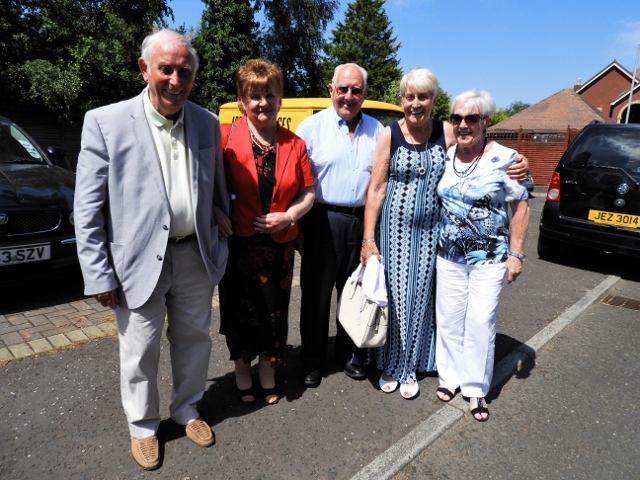 Roma Tomelty, daughter of the late great Joseph Tomelty, spoke of how her father had given Billy Millar his break in radio, in the successful series, ‘The McCooeys’. Valerie Corbett had also played a part in the series. From Belfast to London and to the glittering lights of Hollywood, Billy Millar, known then as Stephen Boyd, became a Hollywood movie star of the silver screen. 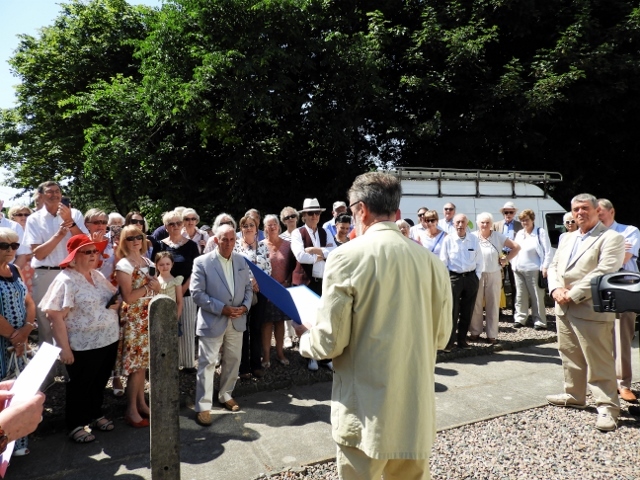 Messages of congratulations from Danny Kinahan, former South Antrim Member of Parliament, and the American Consul General in Belfast, Daniel J. Lawton, were read to the assembled guests. American Independence Day and Stephen Boyd share the same Birthday..4th July. 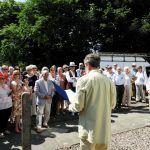 Afterwards guests were entertained at nearby Abbeydene House, the home of a former Lord Mayor of Belfast and now owned by host Tim and Ethy Clifford . 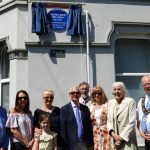 Photos from the unveiling event for Stephen Boyd Blue Plaque. Click on thumbprint photos to enlarge.